Progression through the Story mode of TinyWars’ complete experience will be driven by a quests-based mechanic, developer Bizurk Software has announced. The unravelling of the game’s narrative will be spread out over multiple worlds, each of which are to provide several hours’ worth of game-play content. ‘As you can see by our Worldmap mock-up below, there are a number of worlds planned for the game.’ illustrates Lead Developer Andrew Taraba. An updated mock-up of The Worldmap in development. An older iteration of the worldmap, previewed last month. ‘A lot of the map won’t be visible until the player actually unlocks those levels, so it will continue to be a mysterious experience.’ Not all quests will be mandatory, although players will be rewarded for exploring optional quests in the form of various rewards. Part of these rewards will be in the form of virtual currency, concepts (below) of which are currently being explored. Contrary to traditional tower defense mechanics where unit upgrades often do not persist from level to level, TinyWars’ virtual currency will allow for the purchase of more permanent in-game items. While various quest-lines are currently being scripted, game-play videos illustrating the working of a planned RPG-tower defense blend of a game-play model will be shown off at a later stage. Players will further be given a taste of this hybrid game-play model along with that of several quest lines in the upcoming Story Demo. Due for a release sometime this year, the story-demo will be a vertical slice of the full TinyWars experience that is currently having its various visual and narrative assets developed. Said narrative will begin by exploring the life of TinyWars’ main characters, their relationships and transformations over time. As players progress, the tone is set to get progressively darker until a few turning points are hit. A functional preview of its main menu can now be seen below. Those wishing to get their hands on a free tech-prototype of TinyWars’ tower defence element meanwhile, can download the same for Windows PC and Android via the Downloads section of the game’s website. More visual and game-play snippets from Tinywars’ development are to follow. To ensure you’re up to date, be sure to subscribe to E-mail updates via the sidebar on the game’s Higher Eclectic Space or to the game’s Sub-Forum. Feedback, queries and interactions with the development team may also take place within the latter. This Press Release was brought to you by Higher Eclectic Ground, network for independent game talent to which TinyWars and the Bizurk Software team is currently affiliated. Developed by Bizurk Software, TinyWars is an upcoming game of the Tower Defence genre for PC, Android & iOS devices. A journey of growth — both of characters involved and players themselves — its narrative encompasses the kingdom of Tiny and its inhabitants, as they journey through a world of constant conflict and learn of things far greater than themselves. Following the tale of one such inhabitant, a young girl named Mary, said narrative will illustrate her pursuit of justice from those that belittle her as she journeys to save her Kingdom for good. Players will be tasked with strategic thinking, dynamic unit management and a plethora of boss fights across varying degrees of challenge. All the aspects of this Tower Defence element, although not ground breaking, will ingeniously parallel the aspects of the story and the concept of growing as an individual. A prototype of these mechanics is now available for download. Although not representational of the main game, the purpose of the prototype lies in providing fans, followers and tower defense enthusiasts with a snippet of the TinyWars game-play experience, while also assisting the development process with user-related feedback. The months that ensued after the game’s bare-bones prototype from 2015 were graphic & artwork intensive, with the team designing original assets, primary characters, animations and even recording a live orchestra for the main game in order to provide it with its own flair. A large portion of 2016 meanwhile had been devoted to the development of TinyWars’ game-play prototype. Prior to its release, a closed beta test of the same transpired between the months of October-November, the same year, with all gathered user feedback being used towards the development of the main game. Despite the prototype being devoid of any narrative elements and fleshed out visuals, the team is currently working towards releasing a more representational vertical slice of TinyWars’ primary experience by 2017. Comprising of a portion of TinyWars’ soundtrack and early concept art meanwhile, a pre-gameplay demo is now also available for download. 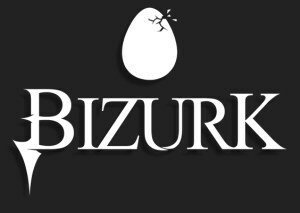 A privately owned subsidiary of Taracore Enterprises LLC, Bizurk functions primarily as a service provider for clients ranging from Hyundai Motors’ Official Website to popular video games like Yandere Simulator. TinyWars is its first independent venture into the gaming industry. While CEO Andrew Taraba himself has extensive experience in the world of website & app development, the team itself comprises of both experienced artists, musicians and programmers along with novices alike. Founded in August, 2015 and operated ever since by Sean Braganza, Higher Eclectic Ground is a curated network of independent developers and artists involved in the creation of Video Games and Video Game related media. Its services towards affiliated games and their developers primarily involves the provision of highly personalised Public Relations(PR), Quality Assurance(QA) and general Press-centric services with the goal of functioning and operating as the PR department of their development teams. In addition, it also plays agent to various other freelance creators and artists of gaming media – helping them build a web-presence around their respective crafts and working to garner them freelance employment opportunities within the gaming industry.